My work divides into two subject areas—my passion for the natural landscape and my deep ambivalence about what the human presence brings to it. A nature subject chooses me. 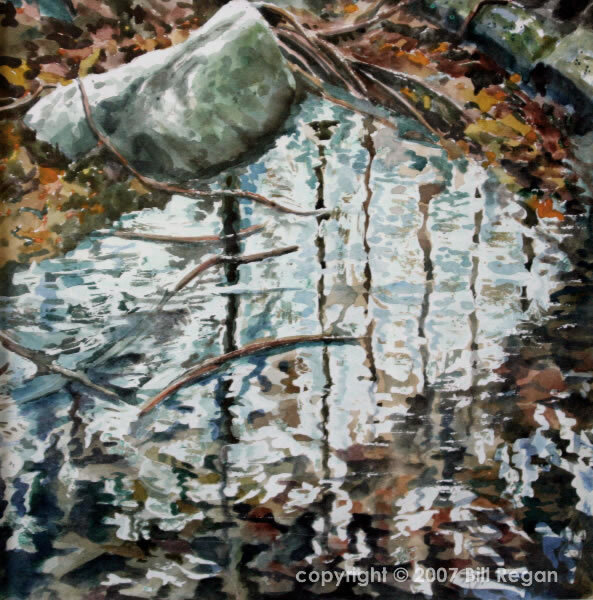 As I look at a wooded area or a stream, I am caught by a tree’s unusual form or the way the brook spills around and between a cluster of stones. The parts of the whole grip me. Taken together they produce a vast scene, but their power lies in the details, which register in our minds first and then are assembled into a whole. I like to stay with the pieces because, for me, they hold nature’s secrets.